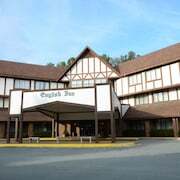 Situated in Charlottesville, this hotel is 0.9 mi (1.4 km) from Barracks Road Shopping Center and within 3 mi (5 km) of University of Virginia and John Paul Jones Arena. Downtown Mall is 2.4 mi (3.8 km) away. The hotel is right across the street from the University of Virginia - ideal for those in town to visit students or catch a college ballgame. Guests can take the free trolley to Charlottesville's historic pedestrian mall, home to more than 120 shops and 30 restaurants – some with outdoor terraces. 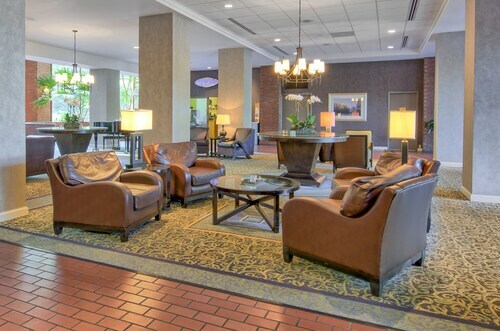 Situated in Charlottesville, this hotel is within 2 mi (3 km) of Barracks Road Shopping Center, University of Virginia, and John Paul Jones Arena. Downtown Mall is 2.1 mi (3.4 km) away. 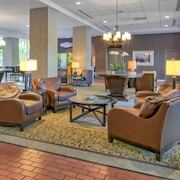 Omni Charlottesville Hotel is a 20-minute drive from Charlottesville Airport and walking distance from the eateries and boutiques at the Downtown Mall. For local excursions, guests can go hiking at Shenandoah National Park or wine tasting at Barboursville Vineyards, both about 30 minutes away. 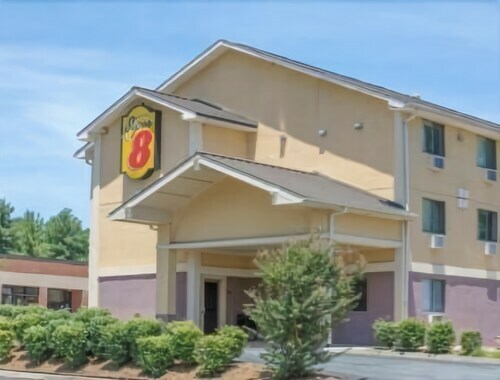 Situated in Charlottesville, this motel is 0.9 mi (1.4 km) from Fashion Square Mall and within 3 mi (5 km) of University of Virginia and John Paul Jones Arena. Barracks Road Shopping Center and Klockner Stadium are also within 3 mi (5 km). 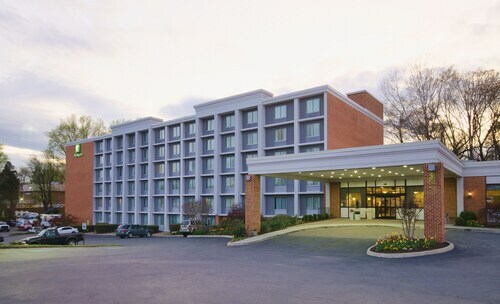 Situated in Charlottesville, this hotel is 0.8 mi (1.3 km) from Barracks Road Shopping Center and within 3 mi (5 km) of University of Virginia and John Paul Jones Arena. Downtown Mall is 2.3 mi (3.7 km) away. 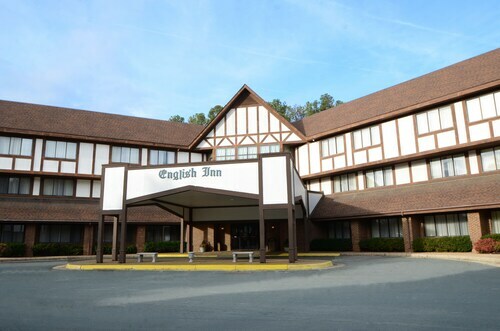 Situated in Charlottesville, this motel is 0.9 mi (1.5 km) from Barracks Road Shopping Center and within 3 mi (5 km) of University of Virginia and John Paul Jones Arena. Downtown Mall is 2.4 mi (3.9 km) away. 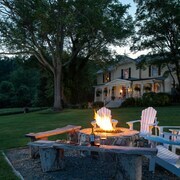 Situated in a rural location, this luxury hotel is 2 mi (3.2 km) from Trump Winery and within 12 mi (20 km) of Monticello and Paramount Theater. The Jefferson Theater and Downtown Mall are also within 12 mi (20 km). Situated in Orange, this luxury inn is within 3 mi (5 km) of The Arts Center in Orange, St. Thomas Episcopal Church, and James Madison Museum. Montpelier and Honah Lee Vineyard are also within 9 mi (15 km). 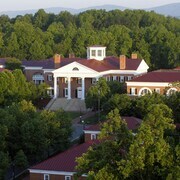 How Much is a Hotel Room in Charlottesville? 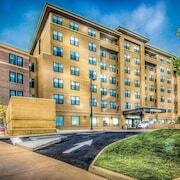 Hotels in Charlottesville start at $57 per night. Prices and availability subject to change. Additional terms may apply. A university town surrounded by farmland, vineyards, and the historical homes of some of the United States' founding fathers, Charlottesville, Virginia, is a graceful and welcoming city. 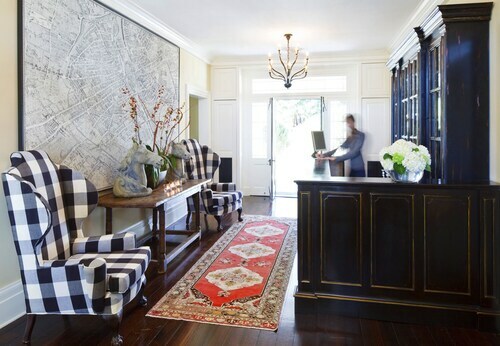 Reserve a room in one of the fine Charlottesville hotels and explore all the parks, art, and tasty treats that this charming Southern city has to offer. 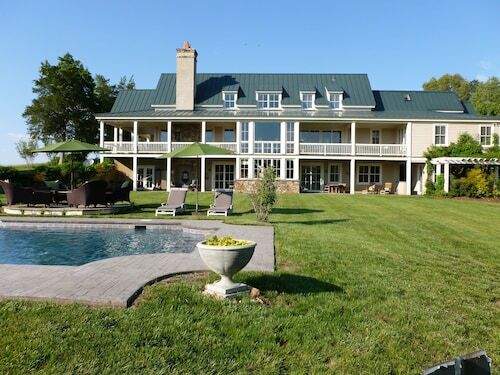 Your first stop in Charlottesville should be Monticello. Take the tour of Thomas Jefferson's home, and marvel at the architecture, art, and lush grounds that have been immaculately maintained. From there, enjoy the picturesque farmhouse at Ash-Lawn-Highland that was home to the United States' fifth president, James Monroe. 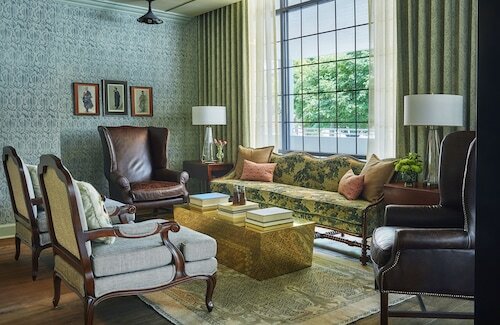 Book a stay at one of the hotels in Charlottesville, and you'll be well-positioned to learn about the historical aspects of the city, and to take in a performance or public lecture at the University of Virginia. Want to get a better look at the mountains standing sentry in the not-so-far distance? Jump in a car and travel on Skyline Drive through Shenandoah National Park and into the Blue Ridge Mountains. With an abundance of picnic stops and overlooks, you will be able to treat yourself to breathtaking views of the valleys below. 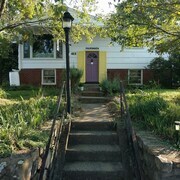 Staying in one of the cheap hotels in Charlottesville also means that you can easily enjoy the shops, art galleries, and popular restaurants of the Downtown Pedestrian Mall. These downtown restaurants offer a wide variety of local flavors for breakfast, from flaky biscuits and Southern-style grits to duck-egg omelets. Your sweet tooth will not be denied here, either. Whether you opt for the popular dulce de leche gelato, or get a princess cake to go, feel free to indulge. And no matter where you decide to dine, you'll be treated to the farm-to-table philosophy that drives this growing foodie town. Book one of the flights to Charlottesville now on Travelocity and take advantage of their mobile exclusive deals on Charlottesville vacation packages through the Travelocity app. Your vacation awaits! Amazing people, amazing place, amazing experience. Could not have asked for more! Good value. Spacious room. Excellent breakfast. Enjoyed our week long stay. nice Place and best for all camp and resort near the lake and there are many RVs and indoor pool! Of course, hot tub!